That title might sound a little ominous, but it’s not, we promise. Thanksgiving is coming up and the time-honored tradition is to go around the table with everyone saying what they are grateful for. However, don’t just be thankful this season: be careful as well. You may have an estate plan already, but did you know that you should continuously review and update it? It’s not just about documenting it and slamming the drawer shut. You need to update your estate plan and keep it current for it to be most effective. In this article, we will discuss the need for updates, as well as the misconceptions surrounding self-written and online wills. Your Turkey Day list of what you’re grateful for probably changes yearly based on what happened in the past 365 days. Similarly, your estate plan can change too, depending on changes in your life (marriage being the main one) or family. While you may think, “Oh, I’ll get to it eventually,” regarding changes to your estate plan, that’s not always the case. Forgetting to update and review your estate plan can be disastrous. For example, if you get married and do not update your estate plan before passing on, your plan will not reflect the changes in finances and property that come from marriage. It’s always better to be safe than sorry. Even if you don’t think you need to make any changes to your estate plan, review it ASAP, just to be sure. There are different services that allow you to write an online and/or self-written will. These services promise the convenience of being able to sit at home on your laptop and just get it done inexpensively. That sounds nice, but, unfortunately, these services often don’t give you a finished product that includes everything you may want your family to have. DIY-willmaking often skips important steps that would otherwise allow you to avoid probate. If you want to do anything complex with your will, your self-written document will likely not contain the proper language, particularly surrounding land (land-based contracts must be very specific in their phrasing). Your relatives might end up having to go to court and spend thousands to contest your will and figure out what it means. Forgetting simple things is easy on self-written wills because, to someone without legal training, the legal language is not easy to get right. Even if your relatives don’t contest the will, courts won’t follow the provisions if they are not properly written, meaning that your self-written or online will has all the effect of a notarized shopping list. Keeping an updated, regularly-reviewed estate plan is really the only way to properly and effectively prepare for your future and the future of your family. Self-written and online wills generally miss the important elements, so scheduling an appointment to have it done properly by lawyers is the best way to ensure that you’re not only thankful this Thanksgiving: you’re careful, too. Child safety and protection is a major concern this month, with officials and teachers giving many different tips on keeping your kids safe from all types of dangers. However, one piece of protection advice you may not have heard is estate planning. Estate planning allows you to designate where you want your property to go after you pass on. There are many different estate planning tools that benefit your children because, as stated in our title, protecting your children is protecting your legacy. In this article, we will discuss these major legal devices that will protect your children’s inheritance and honor your wishes. · Wills. A will is a legal document by which someone designates how they want their property to be distributed after they die. Wills also contain instructions as to who will execute the requests in the will (that person is known as the executor). Note that wills do NOT get you out of probate court, and just having a will is insufficient. · Trusts. These are more complicated than wills, and they take more time to manage and create. Trusts do ensure that you won’t wind up in probate court, dealing with that expensive and time-consuming nightmare. Trusts are fiduciary agreements. The trustor gives a trustee the right to hold the trustor’s property or assets for a third party’s benefit. This third party is known as the beneficiary. Trusts take effect as soon as you create them, whereas wills take effect after you die. A living trust is revocable, meaning that the trustor can make changes and modifications as they so choose. This is beneficial, as situations and circumstances tend to change as time passes. An irrevocable trust, by contrast, means that it cannot be altered without the beneficiary’s permission. · 529 Plans. A 529 plan is an excellent way to invest in your child’s education. These plans allow you to set aside money for your child’s college education. The name 529 comes from § 529 of the IRS Code. 529 plans have been around since the mid-1990s. There are special tax benefits that come along with this type of plan and, usually, your child’s choice of school does not matter in order for them to get the 529.
contributions, and the account varies based on the performance of the investment option you chose (mutual funds or something else). How Well Do You Sleep Without Your Property Protected? When you think of November, you probably think of turkey, football, the upcoming Thanksgiving holiday, and more. But, what you may not realize is that November is National Sleep Comfort Month. During this month, people talk about and discuss ways to improve their sleeping. Without an adequate amount of sleep, a person can experience some negative ramifications that affect their whole life. To sleep well, you need to not feel stressed. And there’s nothing more stressful than risking your property. Luckily, we can help. 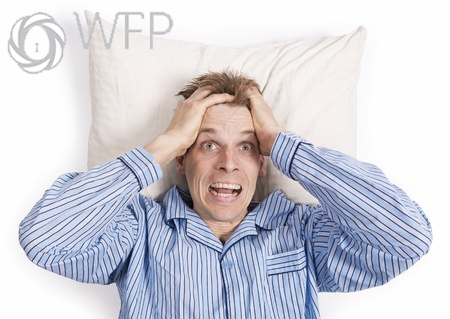 Protecting your property is a good way to reduce stress and ease into the month of November with a good sleep pattern. 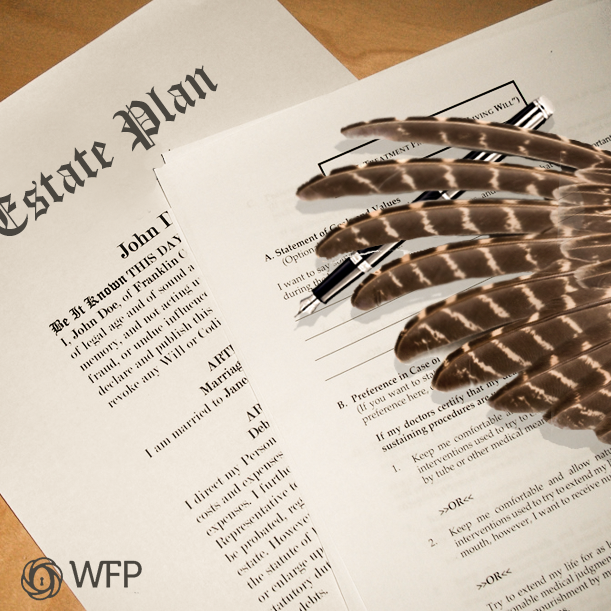 With an estate plan, your property will be protected, giving you peace of mind. How Does Estate Planning Protect Your Property? You may be wondering how exactly an estate plan protects your property, as it’s not as though it’s a security system or guard dog. But an estate plan actually is one of the greatest protections you can have. Estate planning is the process of putting together a plan for where your property will go after you pass on. That’s not the only function of an estate plan, however. An estate plan also allows you to have a trusted individual make healthcare decisions for you in the event of a crisis. A similar trusted person makes decisions for you financially with the “Power of Attorney” estate planning tool. If you don’t get together an estate plan, you will be looking at some serious risk to your property in the form of probate. If estate planning is your alarm system, think of probate as the burglar that the alarm system is designed to stop. Probate court is the legal process of passing on the property of someone who dies without an estate plan. Just having a will is not enough to get you out of probate court. Probate is costly, time-consuming, and all-around miserable for your family. The court takes your property and divides it how it sees fit. Your property might even go to the state, which will sell it. This unappealing result is what happens if you don’t create a plan for what will happen to your property after you die. Morbid though this conversation is, it’s important to think about, and it does have a positive upside: with estate planning, you can avoid the doom and gloom of probate. You’ll be able to sleep easy knowing that your property is protected and secured. Schedule an estate planning consultation today! Sunday, November 5th was daylight savings time! Who doesn’t love the extra hour to sleep in? With daylight savings time, there are tons of different things you can do with your extra hour. Sure, you can pick to watch an extra episode or two of your favorite show on Netflix, but you can (and should) switch it up this year and do something that will benefit your future and your loved ones’ future for years to come: estate planning. Schedule an estate planning consultation! Use your extra hour wisely, and you will be able to see the long-term effects of such diligent planning. In this article, we’ll tell you a little about what to expect from your estate planning consultation, as well as extra information about some main points to know. When you go to your estate planning consultation, the discussion is going to focus on your needs and the needs of your family. However, as with anything, you might want to brush up a little on the topic before you go to the consult. There are a variety of different estate planning tools such as wills, trusts, powers of attorney, health care surrogates, and more. Here is a brief overview of the major terms to know. Wills are a little different from estate plans, but they are important to know about anyway. Wills go into effect when you die. Wills direct who will receive your property after death. Wills don’t actually help you avoid probate; that’s not how you dodge that bullet. The only way to avoid probate is through estate planning, which is covered in the next three points. Trusts go into effect once you create them. You don’t have to be dead, as with a will. A trust minimizes estate taxes. It is a right in property that is held in a fiduciary relationship by one party. The trust benefits the other party. This second party is known as the beneficiary. Powers of Attorney. Your power of attorney acts on your behalf in financial matters if you are unable to take control of your matters for yourself. A power of attorney is a good way to make sure that you can have someone responsible taking care of your finances. Healthcare Surrogates. A healthcare surrogate makes healthcare decisions on your behalf if you are unable to do so. Much like your POA, you want to make sure that your healthcare surrogate is responsible and knows what you want. A healthcare directive, to distinguish the two, is a written order that tells the doctors and hospital managing your care what you want to have happen if you are incapacitated. With your extra hour, how will you spend it? For one of the days, you can use the extra hour to schedule an estate planning consultation and ensure that you have control of your future (then, of course, you can use the other days’ hours for Netflix, naptime, and relaxing).